Among animals used in research, teaching and testing, mice are now widely recognized as the most important model for human diseases and disorders. They comprise the majority of all experimental mammals and tend to be the model of choice used for research into many diseases/disorders including cancer, heart disease, asthma, Alzheimer’s, Down syndrome, deafness, osteoporosis, obesity, diabetes and even mental health research. Additionally the laboratory mouse continues to play a widely publicized vital role in the human genome project. One of the most time-consuming activities in research laboratories is looking up information specific to the species or strain of animal being used. 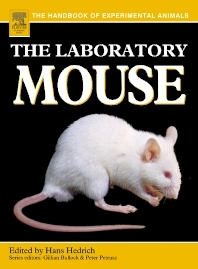 This book, part of the highly successful Handbook of Experimental Animals series, allows the user quick access to any point of interest on the mouse as an experimental model. Researchers and students in biological, veterinary and medical sciences, as well as researchers in the pharmaceutical industry.